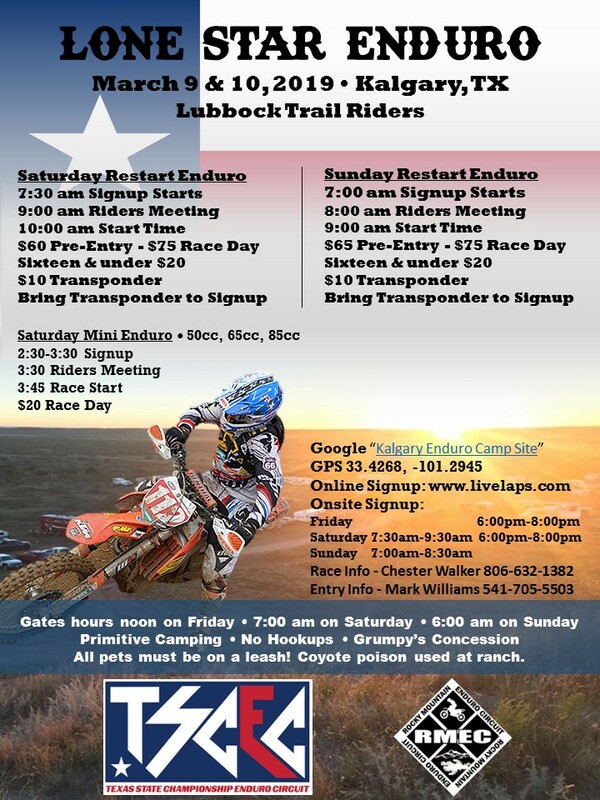 Black Jack Enduro Circuit will be scoring this race with MotoTally. 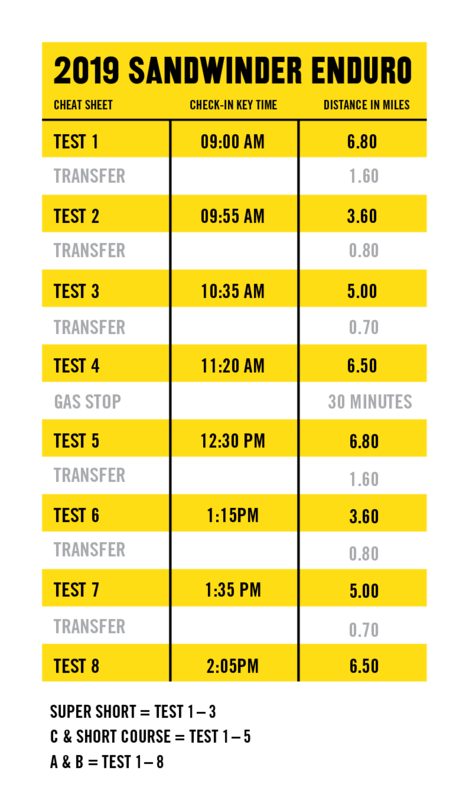 Make sure and bring your MotoTally transponder. Transponders will be available at the race to purchase if you need one. Most of you know by now that RMEC’s Chairman Forest Smith was seriously injured in an accident last weekend at the Mint 400 in Las Vegas. TSCEC is committed to helping Forest with his medical bills and his road to recovery. 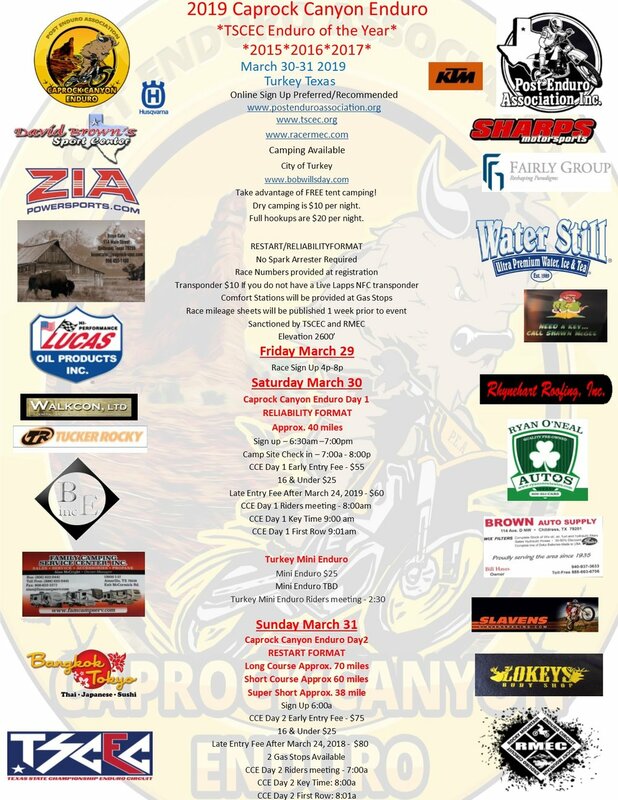 PEA in conjunction with TSCEC and RMEC are hosting a fundraiser the weekend of the Caprock Canyons Enduro March 30-31. Stickers will be for sale that will fit on a fender or number plate of your bike at the race. We are asking to give what you feel is appropriate to help Forest and in return you will receive one of these stickers for your bike. All funds that are raised from the sticker sale are going to be matched by a generous donor. Let’s do everything we can as an organization to help Forest in his road to recovery. See you all at Caprock Canyons.